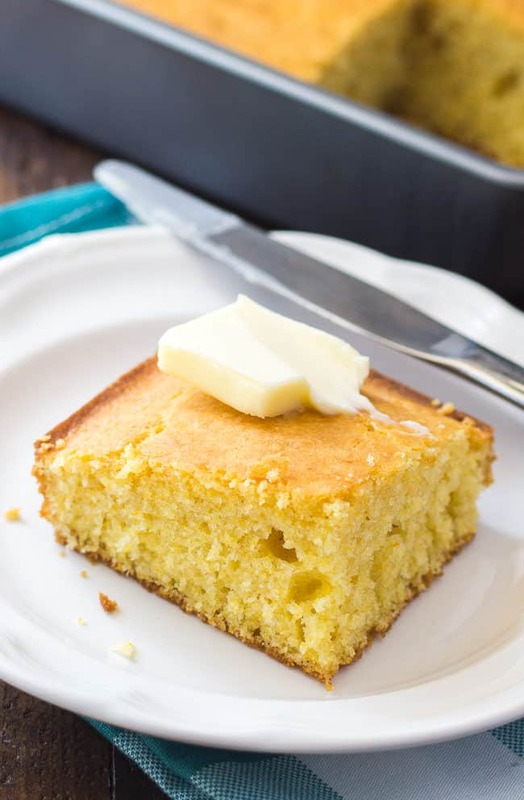 There are few things in this world that I love more than a warm, buttered hunk of cornbread, so I wanted to share my easy buttermilk cornbread recipe! Sure, a piece of cornbread is fantastic dunked in a bowl of beans (or any delicious soup recipe for that matter), but it’s also pretty amazing on it’s own. Not that I could sit and eat half a pan of this cornbread on my own or anything. Ahem. I’m a pretty big fan of breads and biscuits, but when it comes right down to it, the flavor of cornbread melts my heart every time. In fact, eating cornbread really takes me back to my childhood. I can remember my grandpa always making a pan of cornbread to go with his soup beans. Soup beans… I think my Appalachian is showing. Do you say soup beans where you’re from? I’m not sure if that’s a regional thing, but I’m guessing it is! 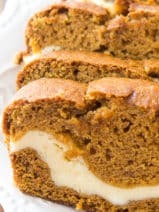 I’ve made quite a few different cornbread recipes with varied results. I actually got this recipe from a really old church cookbook that I borrowed from my mom. 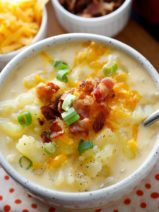 It’s such a simple recipe, but I’ve been really happy with the results. 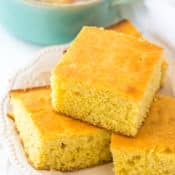 This easy buttermilk cornbread recipe comes out just perfect every time, and the flavor is wonderful. It seems like my family goes on a bit of a soup and chili kick after the new year, so I make a lot of pans of cornbread to go with our dinners. In fact, I just made some today to go with this amazing 15 bean soup (it totally came off the back of a bag of beans, I can’t take any credit) that you absolutely MUST TRY. 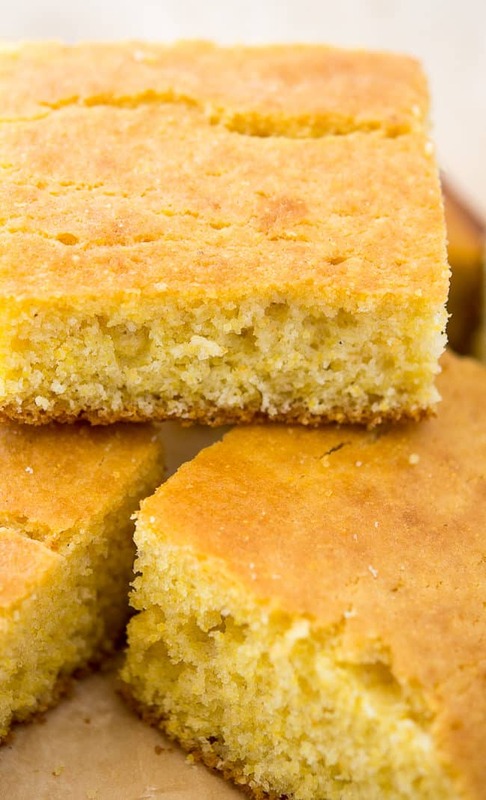 I hope you enjoy this no-brainer cornbread recipe. 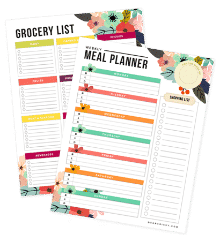 Be sure to let me know how it turns out for you if you decide to give it a whirl! 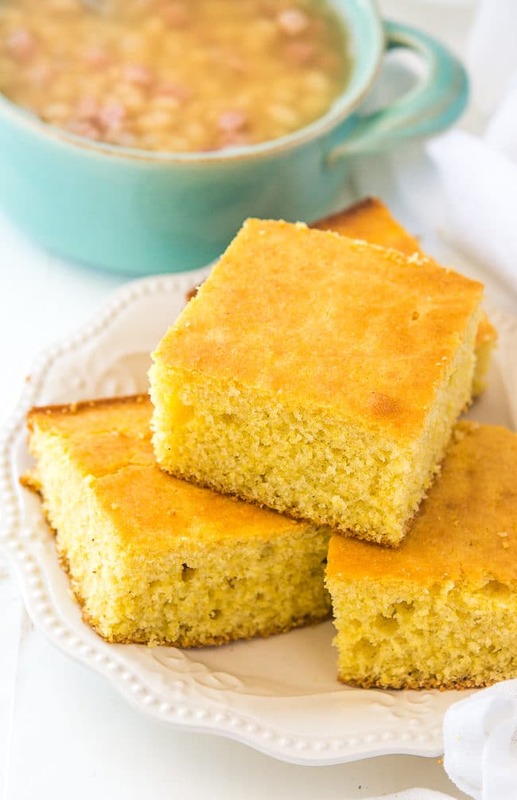 A quick and easy buttermilk cornbread recipe that you’ll make over and over again! Preheat oven to 400 degrees. Spray a 9×9 inch pan with non-stick cooking spray. Whisk together the sugar, oil and eggs just until combined. Sift together the flour, baking powder, baking soda and cornmeal. 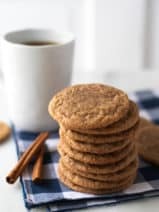 Add about ⅓ of the dry ingredients and about ⅓ of the buttermilk to the sugar, oil and egg mixture and stir, continue until all is blended together. 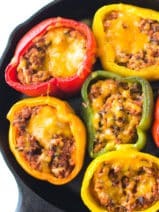 Pour into the greased baking pan and bake for 25 to 30 minutes or until top the is lightly browned. I just took mine out of the oven about an hour ago and oh man are these tasty! I was worried at first because I only had corn flour and not corn meal, but it still turned out great. 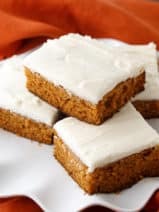 My 3 year olds approved so definitely making these again.